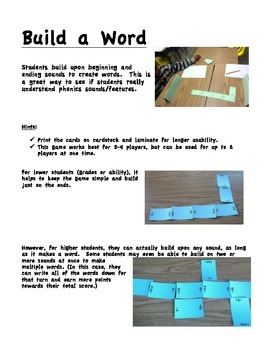 In this activity, using the Domino game principles, students build upon beginning and ending sound cards to create words. 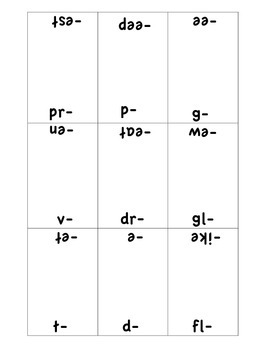 It can be used in literacy groups to allow independent practice of phonetic principals, as a word study game, or even as an informal assessment tool. 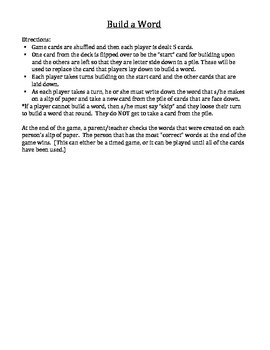 This set includes 45 beginning/ending sound cards with directions for the game. It works great with Word Study or Words Their Way materials.